Inspired TinBot is always much easier to get attention. The reason is very simple. All of us have some common area in our mind whatever that was from very long time ago or just a recent popular thing. This make us very easy to recall such an impression and more easy to accept the idea. In this way, I design TinBot in different approach for different type of people. One of my favourite approach is doing something just recall your memory instantly. This type of TinBot could be more acceptable by the mass. 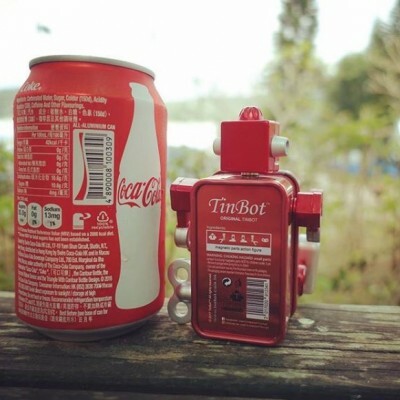 **In the picture, we only see the back of TinBot, you already know what it is about, don't you?